Making It Rainfall Week 8: SHMUPs Ahoy! If there’s one level type that really appeals to me as a creator, it’s that of airship levels. There’s something really fun about making aerial dreadnoughts loaded with traps and foes, requiring quick thinking and smooth moves. 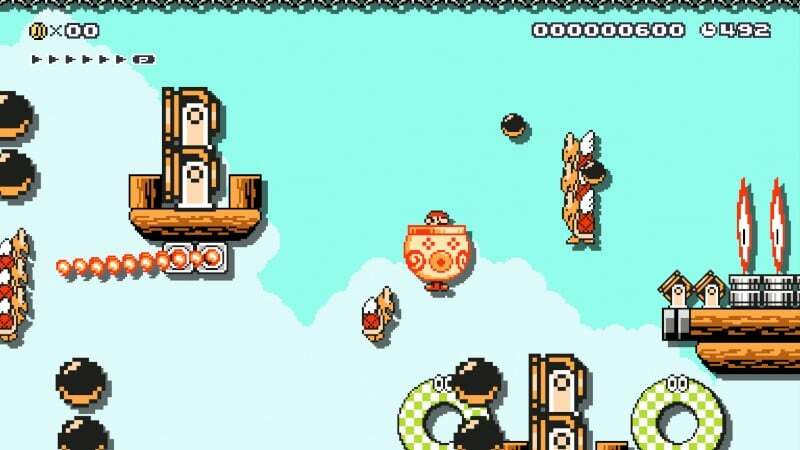 But as much as I love them, I always have been obsessed with making a particular type of flying level in Super Mario Maker – SHMUP levels. Unfortunately, up until recently, this has been a fleeting dream, since clown cars could navigate but not fire bullets. Enter the Fire Clown Car. It’s like Nintendo was listening to my secret hopes and dreams! Now, everybody can make their own SHMUP levels, and with that in mind, we decided to focus this episode of Making It Rainfall on that theme. There’s a wide range of levels and difficulties here, but they are all well made, challenging and diverse. Best of all, we get a new creator throwing his level into the ring! But that’s enough of my blabber, you want to play some levels, right? Here you go! 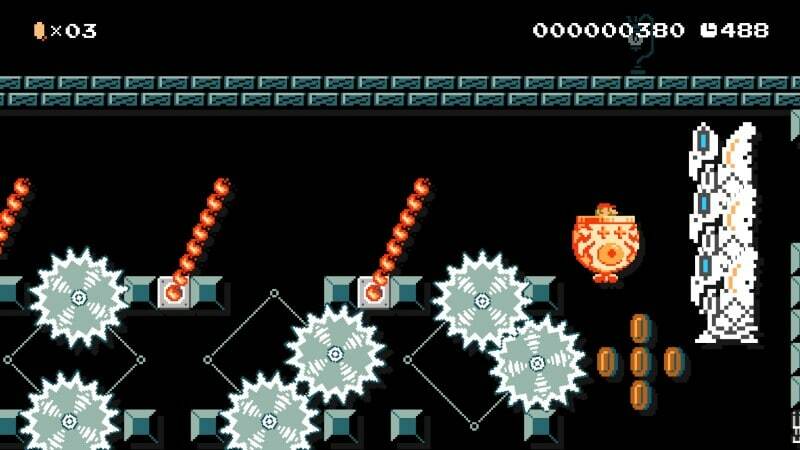 Now I’ve never made a scrolling SHMUP level before, so I asked myself, what do I know in Super Mario Maker? Adding wings to everything, that’s what! So I decided to take that, remove the ground, and there you go! Seriously though, I wanted to add a level of challenge, so I added some bouncy objects to make things a little tricky. This is also the first real level I decided to incorporate sound effects and a boss type situation. It’s pretty short, but I hope you like it! My goal with this stage was to make a SHMUP that was full of objects you couldn’t easily blast your way through. So expect plenty of cannons, buzzsaws and firebars, with a couple of enemies thrown in to pester you. Make sure you take out those flying Bloopers, too, otherwise the 2nd half of the level may turn into a survival horror situation, with Lovecraftican monstrosities on your tail! 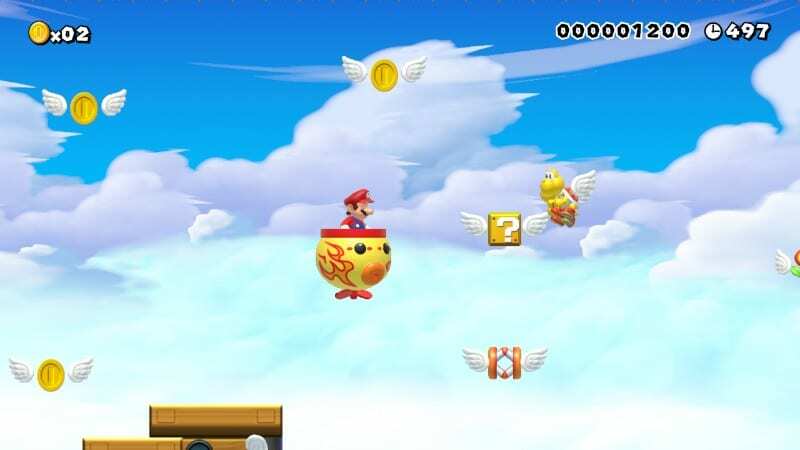 The end of the stage will require some fancy flying, at least if you decide to avoid the boss fight instead of just hovering past it carefully. Think of this one as a Lost Levels version of Aerial Parade. 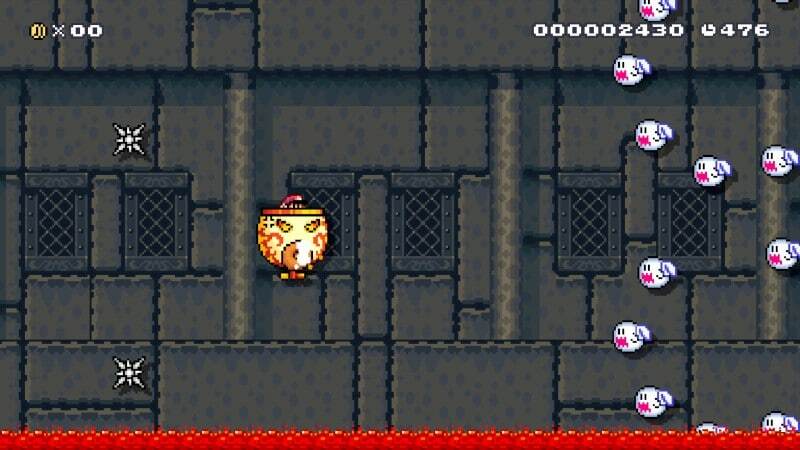 This level is HARD, and thus far, nobody has managed to beat it besides yours truly. This is not a SHMUP you can blast your way through, and it requires good timing and attention to detail. That said, I don’t think this level is unfair, just challenging, so take that how you will. 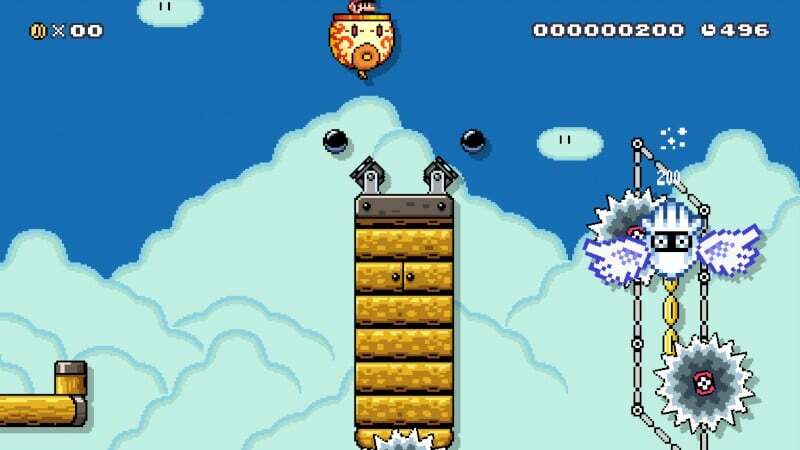 A good level for fans of classic Super Mario 3 airship madness. This levels doubles as both my latest Deadlands themed stage as well as a SHMUP stage. This one is more of a bullet hell than my others, and the theme is that of a dungeon you have to escape. Be ready to use your charge shot, cause that is the only way you can escape. Can you dodge all the buzzsaws, ghosts and traps ready to keep Mario lost in the Deadlands? Or will he languish forever in this realm of afterlife? I actually made this level first, and it is accordingly easier and more full of tricks than my other SHMUP stages. I consciously tried to make this an homage to the R-Type series, with lots of floating vessels, dangerous Piranha Plants and lots of tricky timing. Luckily, there is a checkpoint flag midway through, so you don’t have to beat this in one sitting. As you can probably guess, you will be putting the smack down on a lot of piranha plants who apparently think they can stop you. 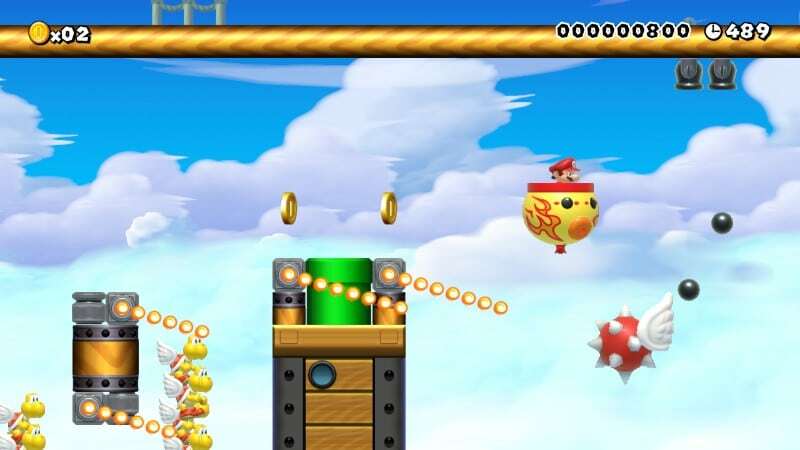 The level is divided into 3 major segments with two checkpoint flags. Some areas also have small cannons so you can’t remove all the enemy fire. That would be too easy! I also worked 2 puzzles into the level in between the flying battle sections so the player gets to rest for a moment after the major bouts of action. 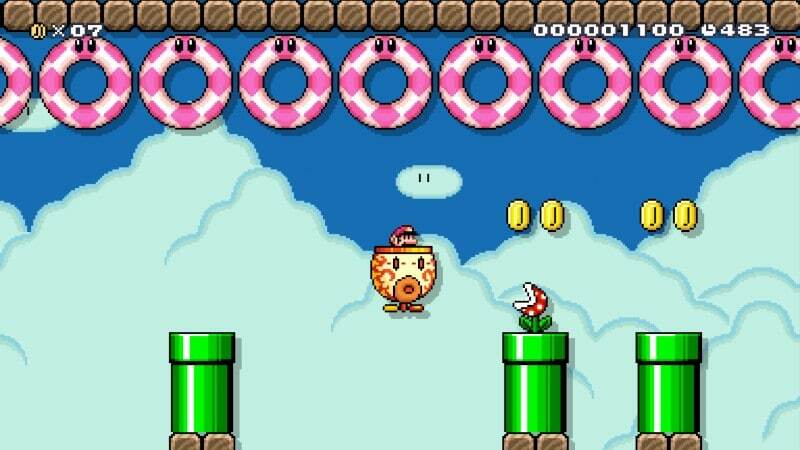 I sprinkled a few hidden 1UPs into the level too. I hope you have fun playing it! It’s basically a no-nonsense SHMUP level. What I found very interesting is that flying Spinies release their spines in a bullet hell-like pattern, and the Fire Koopa Klown Kar has a pretty nifty charge shot. So I added some neat tricks to go along with that. Anyway, I hope you enjoy it! That’s it for week 8 of Making It Rainfall! Hope you enjoy our crazy SHMUP levels. Please keep reading later this month as we roll out week 9’s batch of levels! Previous Post:REVIEW: A Wild Catgirl Appears!